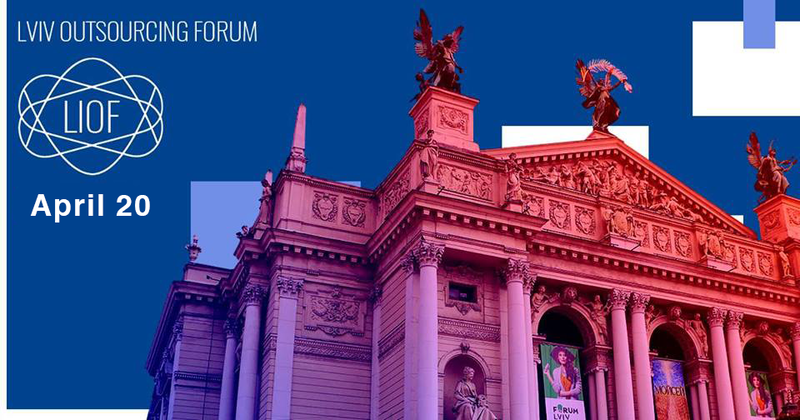 April 20 Lemberg Tech Business School will hold the eleventh Lviv IT Outsourcing Forum! Together with Lviv IT Outsourcing Forum, which has been held in Lviv since 2010, this is already a traditional conference for owners and C-Level managers of the Ukrainian IT outsourcing companies. This year it is planned that about 400 CEO, CTO, COO, CFO directors from Ukraine, Germany, Israel, and other European countries will participate in the conference. The topic of this-year LIOF is "IT company transformation. Quo Vadis?" ✔ How to unload and plug the holes of the owner of IT-outsourcing company? ✔ At which stage what processes are needed for successfully operating IT-service company? ✔ What is happening on the world IT-service market? ✔ Is tough company specialization possible for technology, domain, market, and product? ✔ Examples of service-product companies that “took off” in 2017. ✔ How to create a sales process in the technological niche at the average company? ✔ Organizational changes that are driving growth and passage to new forms of existence. ➤ To explore the experience of the outstanding companies before the change to high-productive players on the global market. ➤ To discuss potential threats to the domestic talent market and the existing legal and tax principles of work. ➤ To open new opportunities to the most productive companies’ owners. ➤ To promote experience exchange among the owners of IT-service and semi-product companies. The key speakers of the conference are expert-practioners, owners and directors of IT outsourcing companies, representatives of companies-customers of outsourcing services, consultancy and product companies. And traditionally, apart from 5 standard branches, during the conference you can participate in “Private meetings” with the speakers and visit the Lviv offices of the best IT companies. BDMS (Business development, marketing, sales). About effective marketing, organization and realization of sales processes, finance management and supporting relations with customers. Organizational maturity & HR & Legal & Finances. For experienced project managers and CEO outsourcing IT companies about project management, news of the sphere and flexible methodologies. About education, corporate culture, recruitment, HR. The peculiarities of our last conferences – are private meetings with the outstanding conference speakers, when one can obtain full-fledged advice on the most serious issues. Actually, on the first day there will be a conference program, and on the second day we shall have visits to company offices and workshops. The conference fee varies from 120 US dollars (for the first 50 members) to 300 US dollars, depending on the chosen pack and enrollment dates. Get 15% discount with our promo code - ITOR15LIOF!